The most efficient, reliable and cost-effective solutions when it comes to the recycling of waste material. 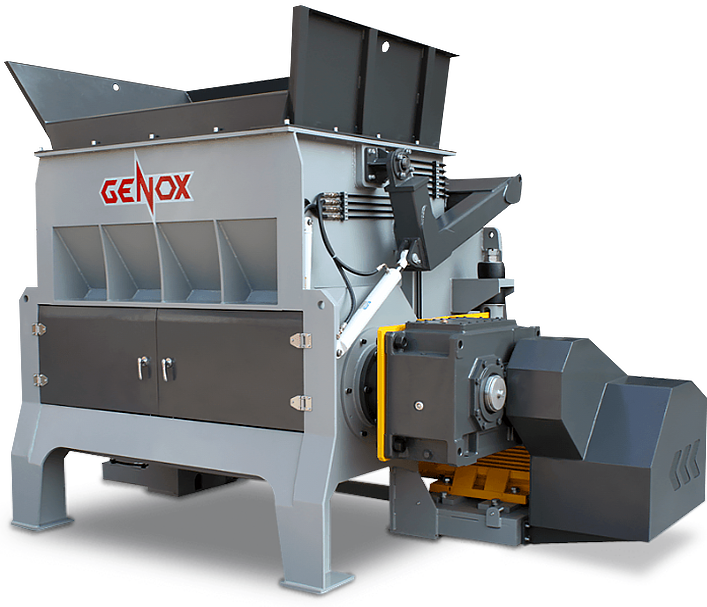 Through extensive testing, feedback and collaboration with top engineering partners and recycling firms across the globe, Genox has developed an extensive range of technically advanced waste shredders to support material reduction across a range of recycling applications. Applied Machinery has been working with Genox as their Australian distributor for over 10 years and has overseen the development and growth of the brand across the country. 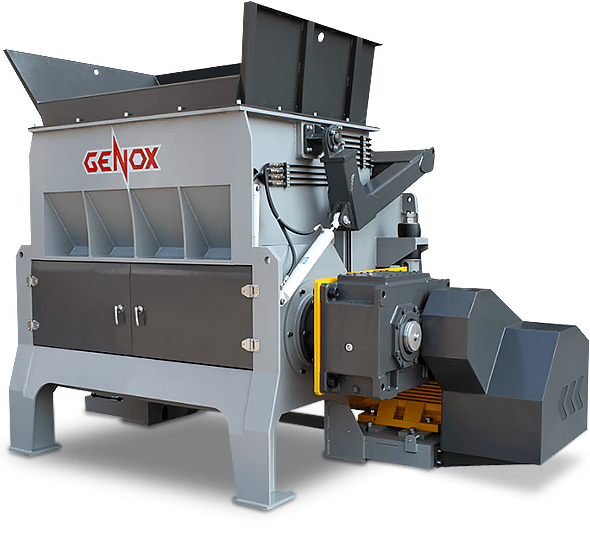 The V Series Single Shaft Shredders are small to medium size reduction machines used to process a wide range of materials to a uniform particle size. The products can often be sold as is, or be sent for further processing through additional equipment. Throughput range between 300kg/hr - 5000kg/hr+ depending on the model, material type, screen size and application. Copper - household, automotive, telecoms and industrial cables including S.W.A. The M Series Twin Shaft Shredders operate at low speed with high torque, minimising noise and power consumption while achieving high throughput rates. These machines are ideal for the size reduction of bulky or voluminous materials which could include contamination such as metals or stones. The K Series Single Shaft Shredders are heavy duty machines suitable for processing a wide range of materials. 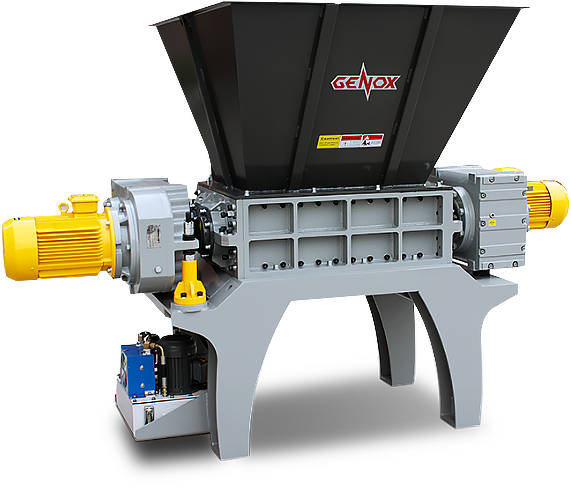 This range of shredders are ideal for the size reduction of flexible and/or medium hardness hollow products often loaded in bales. The fast acting, PLC controlled swing pusher automatically forces material to the rotor according to motor loading, maximizing material throughput. Copper cable - household, automotive, telecoms and industrial cables including S.W.A. The BH Series Single Shaft Shredders are heavy duty size reduction machines specifically designed for processing a wide range of materials. These shredders are ideal for hard and voluminous products, and the powerful, wear resistant machine structure makes it well suited for demanding recycling tasks. The X Series Twin Shaft Shredders are extremely high torque, high throughput, rotating shear type size reduction machines. 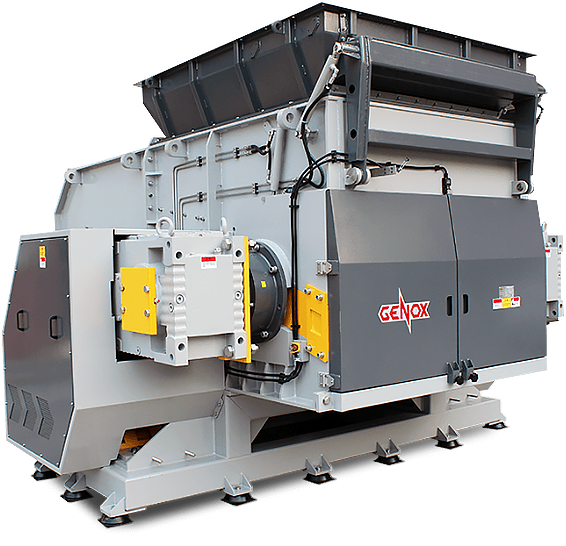 These large and robust shredders are often used for pre-shredding of large volume or high strength materials which may contain contamination. The unique modular split chamber design gives excellent access to key components, which reduces maintenance downtime and service costs. From a simple shredder system, to a complete, fully customised turn-key recycling plant, we are ready to meet the equipment requirements of your recycling project. 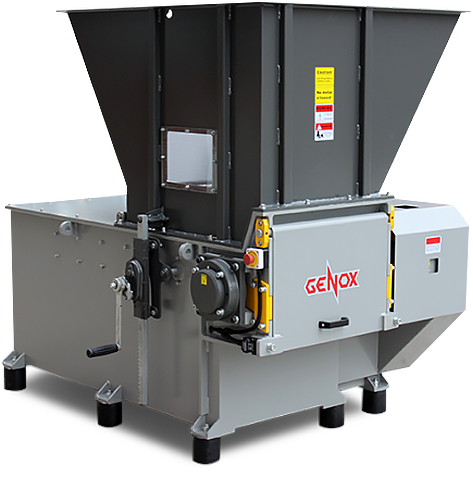 For more information about Genox Shredders, please get in touch with Applied Machinery today.